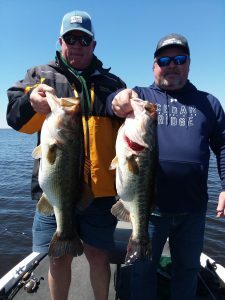 Mike Hamsher and his buddy came down to escape the snow and cold to come down and catch some Okeechobee Bucket Lips and they got it DONE! These 2 8 pounders were just a few of the nice fish they caught today. The fishing has been awesome and will continue to be Red Hot through out the next couple of months. Come on down and join us for some of the nations best bass fishing! 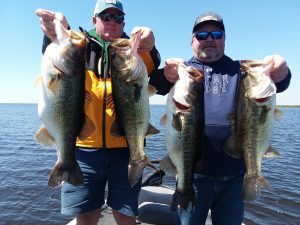 Okeechobee Bass Fishing Guides will always strive to help you catch the most and biggest fish we can each and every time out.